Slam Up Poetry/Comedy Tonight and Zine Fest tomorrow!!! Tonight the Wingnut Anarchist Collective is hosting the Slam Up Poetry and Comedy tour at 7pm. Free, sober, all ages. But bring money for merch or donations if you can! If you are like us you still need to make copies of your zines. If you want to carpool at 4 or 5am to the 24 hour kinkos at Broad and Libby please text Mo at 804 300 0023 to coordinate our sleep deprived love of do-it-yourself culture!!! Ok folks, hold onto your hats. We have got a change up with Richmond Food Not Bombs. 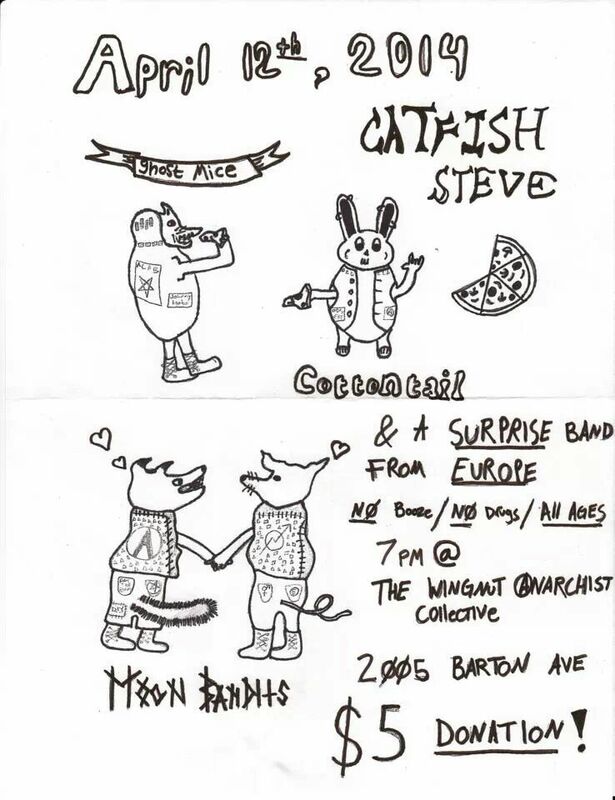 One house in the rotation has dropped out so we are now going to be hosting for the month of September at The Wingnut Anarchist Collective 2005 Barton Avenue. October and November will be planned to be at 3100 1st Avenue. September is Mo’s birthday and marks their 12th year of some sort of involvement with Food Not Bombs. Come celebrate with Mo by coming out to cook on Sundays in September at 12:30. 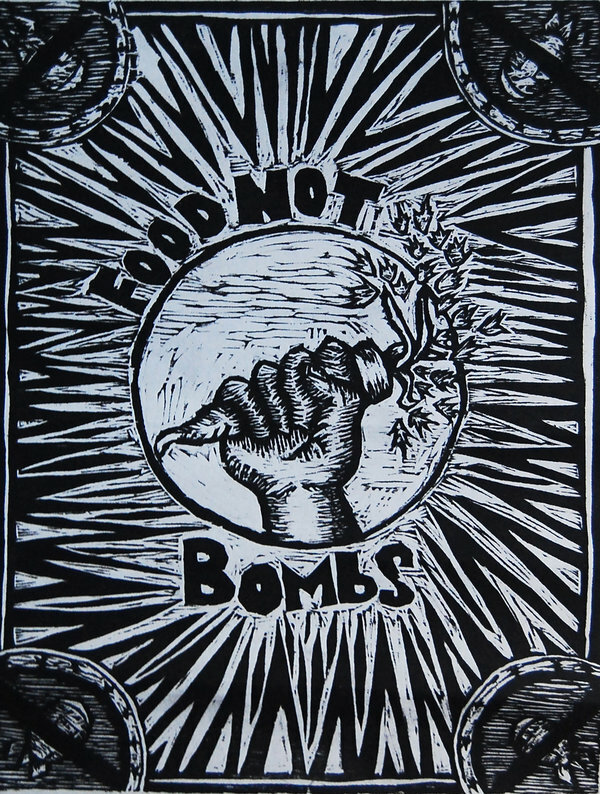 Look out for notice of a Food Not Bombs meeting soon so we can figure out a long term schedule and maybe a new house to add back into the rotation. We need to keep strong because we are still facing the privatization of Monroe Park and possible issues from that coming up next Summer. Momentum must be built and allies made. 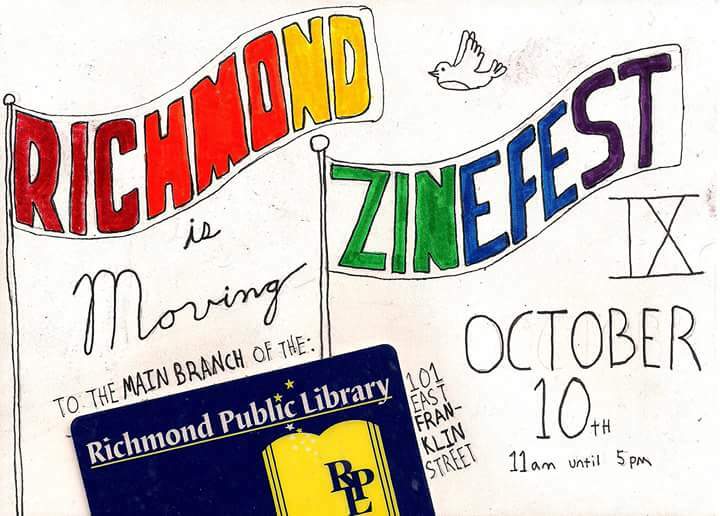 Richmond Area Update from the Virginia Organizing Project! This is a list of upcoming events from the VOP- But we have added Wingnut events and events we know about in bold! THE AMAZING RAISE: Virginia Organizing will be participating in the Amazing Raise on September 17 and 18. This is an online fundraising effort and anyone can donate by visiting http://www.theamazingraise.org/. Folks can easily contribute online at anytime starting at 6:00 a.m. on September 17 until 6:00 p.m. on September 18. However, the Richmond Chapter will be working to win the “Second Chance Early Bird” prize of $1500! To win this, Virginia Organizing needs to be one of the first ten groups to receive 25 separate gifts of $50 or more starting at 8:00 a.m. on Wednesday, September 18. If you can, please donate right at 8:00 a.m. on September 18. We need to make sure we have people signed up to give during this time, so please contact me directly if you are able to help us try to win this prize. If our Chapter helps with this prize and Virginia Organizing wins it, some of the prize money will count toward our 2014 Chapter fundraising goals! Also, if anyone is available to run a 5k to benefit Virginia Organizing, the Amazing Raise is hosting a race on Tuesday, September 16 at the Boulders in Chesterfield. Visit www.amazingraise5k.org to register (and be sure to run in your Virginia Organizing t-shirt, contact me if you don’t have one). October 9, 7:00pm, Craft Night at the Wingnut! November 27th, Friendsgiving Potluck at the Wingnut! Lieutenant Governor Ralph Northam will be speaking at the Virginia Organizing Grassroots Gathering on Saturday, September 6 at 9 a.m. The Grassroots Gathering will take place at the Blackstone Conference and Retreat Center, located at 707 4th Street, Blackstone, VA 23824. The Gathering is a weekend event with workshops, speakers, and fun time! Virginia Secretary of the Commonwealth Levar Stoney will also attend to discuss restoration of rights in Virginia. Please see grassrootsgathering.eventbrite.com for more details. You are invited to come for the entire weekend event or just parts. Please register in advance and arrive no later than 8:30 a.m. on Saturday morning! We look forward to seeing you there! MEDICAID EXPANSION: The struggle for full health care reform in Virginia will continue next month when the General Assembly begins a special session on Medicaid expansion on September 18. Medicaid expansion is a piece of the Affordable Care Act that could provide coverage to up to 400,000 uninsured Virginians (with the federal government picking up a minimum of 90% of the cost). Governor McAuliffe would like to expand Medicaid but is faced with a legislature that refuses to take action. We will be doing at least one action in mid-September to push leaders of the opposition to expansion to come up with some ideas about what we should do. TRANSIT ORGANIZING: Organizing bus riders continues to be a major priority for the local chapter. We have contacted over 200 bus riders about our organizing efforts and we are finding lots of interest and support. Once or twice a month we gather to talk to bus riders at the Transfer Station downtown at 9th and Marshall. If you would like to join us please contact Bob Becker at bob@virginia-organizing.org. This Fall we will have an intern joining us for outreach. Wednesday, September 17, 2014, 6:30 pm. This event will feature Joe Calabrese, the CEO of the most successful Bus Rapid Transit system in the country. He will be discussing the economic development potential of Bus Rapid Transit (BRT) for Metropolitan Richmond. RUDD’S TRAILER PARK (volunteers needed): The effort to save the community at Rudd’s Trailer Park off Jeff Davis Highway is moving forward. Volunteers are helping folks correct problems with their trailers. If you have construction related skills and would like to help, email bob@virginia-organizing.org. The other challenge with the effort remains the attitude of the city. It still seems to many people that the city is taking a harder line with trailer parks than they are with other rental property. VOTER REGISTRATION AND VOTING: The new Virginia Voter Photo Identification law took effect on July 1. The law requires everyone to have an approved photo ID to vote. Folks who do not have an approved photo ID can get one at your Registrar’s office. For more information on the new voter photo ID law, click here to download a printable flyer. KROGER CAMPAIGN: UFCW Local 400 is looking towards contract negotiations for Kroger workers here in Virginia. They are asking community supporters to wear a button and talk to Kroger workers as a show of support. Contact Ken Pinkard at kpinkard@local400.org for details. Hey yall – this show is tomorrrow! If you want to help us get ready, come to the Wingnut tonight from 6-9 or tomorrow at 3-6pm. There is setting up to be done. Additionally there might be dumpstered pizza, donuts, and homemade guacamole. (Bring chips) If you can, bring a snack to share! Also bring $5 for the touring bands and extra $ for merch. Yea 5 dollar shows!!! 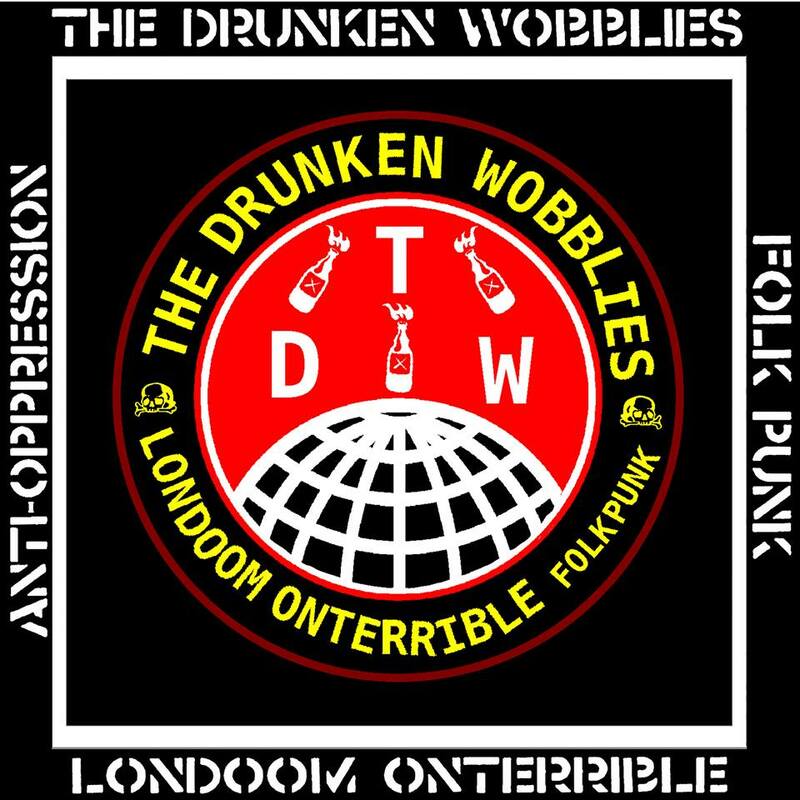 All ages, sober, diy punx yall!!! Build posi punk community and have a good time together!!! This is Andrew, the new organizer and bike mechanic at the Wingnut. 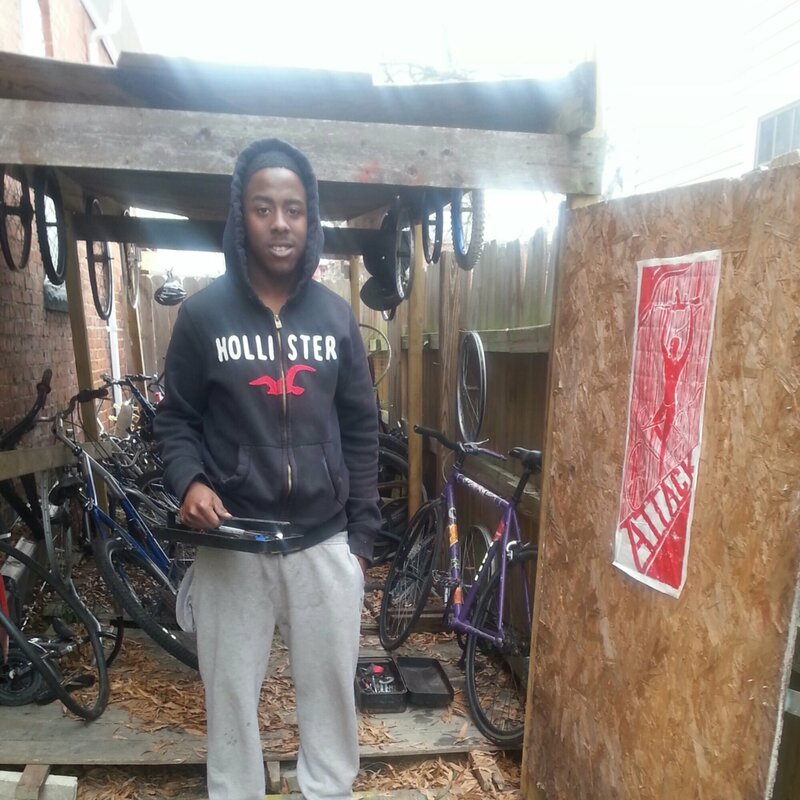 He has volunteered to run the bike shed and help his community through bike repair. He is currently re organizing the shed. He will be looking for donations of bikes, bike parts, tubes, tires and TOOLS. Bike pumps and lights and helmets would also be amazing! 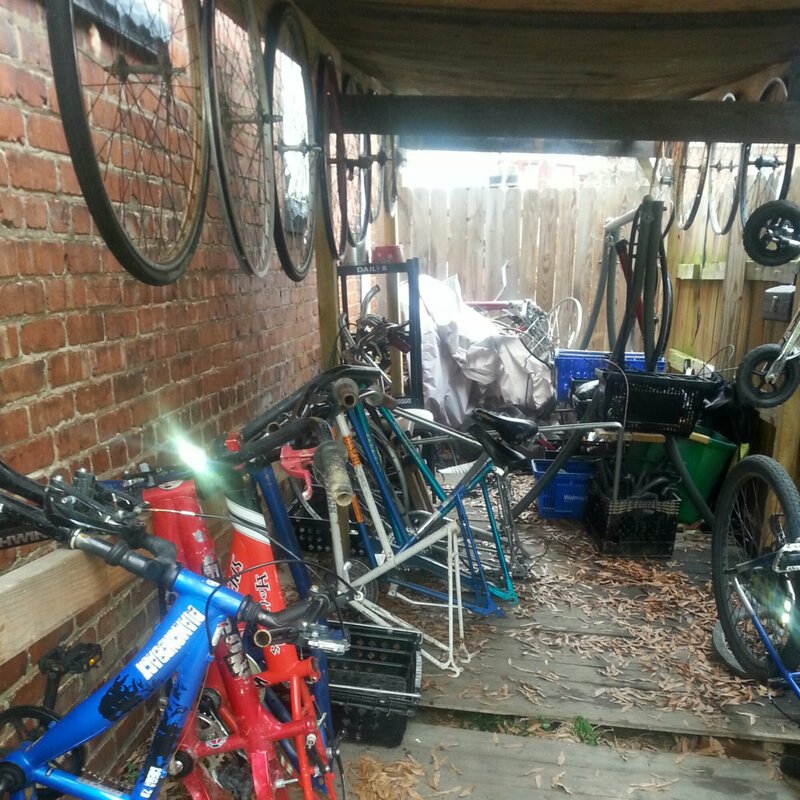 Some new bike shed policies he wants to assert include no spray painting, and no bikes not brought in by their owners. His availability will be fluctuating based on his school and work. Please stop by, especially when you see the doors to the shed open! 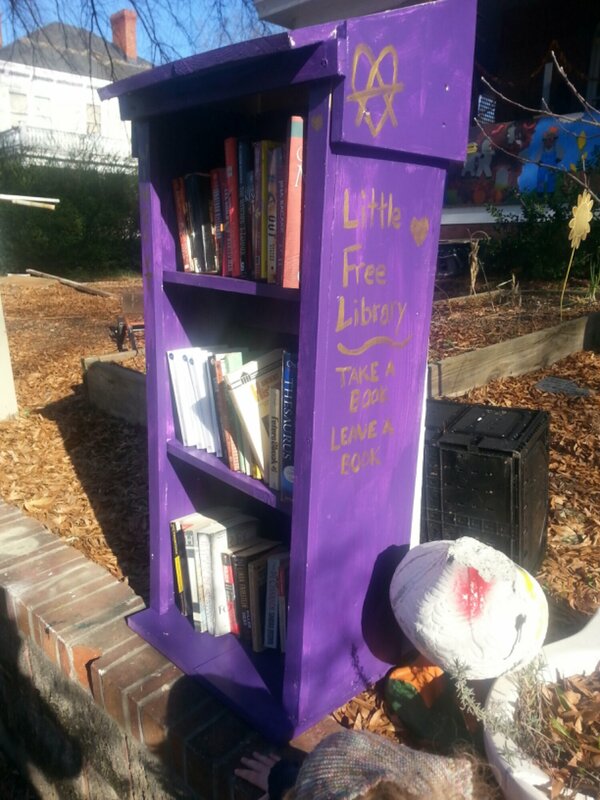 If you are in need of books or in need of giving away books, please come check out the Wingnut Little Free Library at 2005 Barton Avenue. Little Library in construction above. 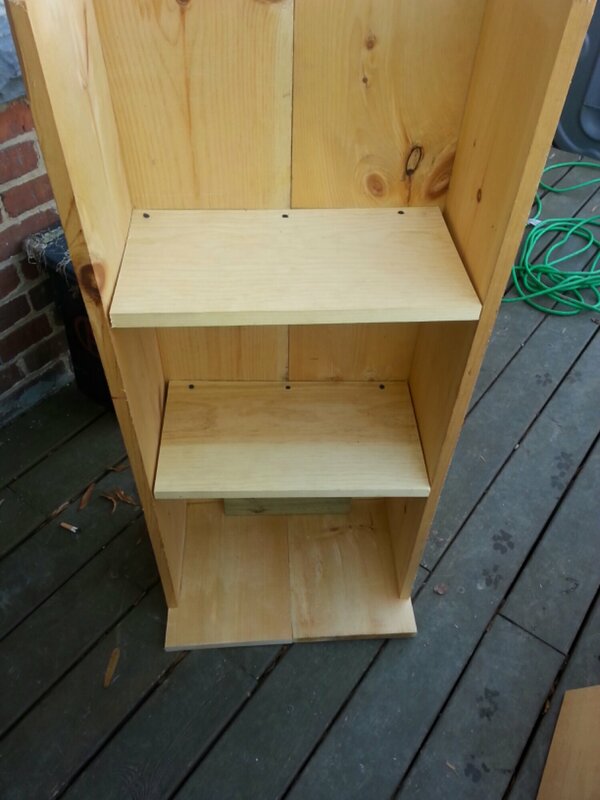 We made it out of scrap wood kicking around the house. Upcycle! If you want help building one for your neighborhood let us know. Take a book and bring a different book back later! No checking out! No need to return! 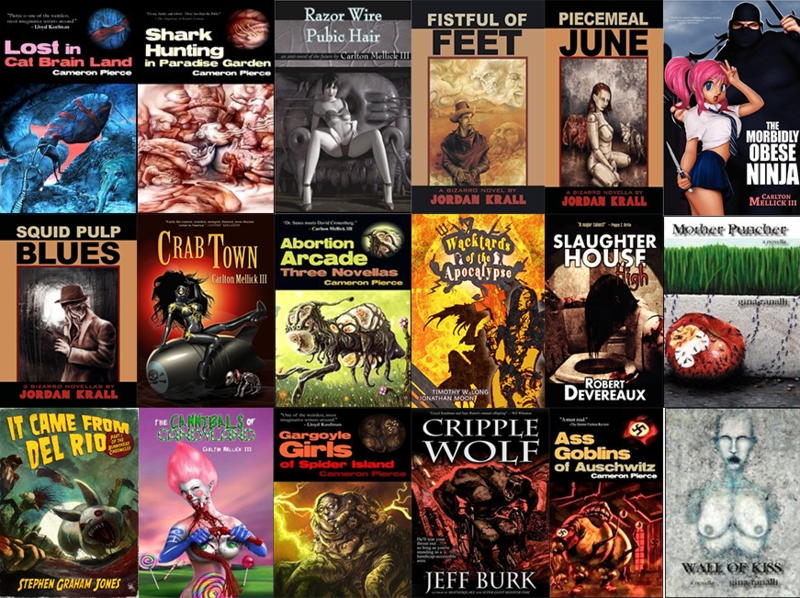 Just a community resource to facilitate getting books some folks no longer want to folks who want to read them. 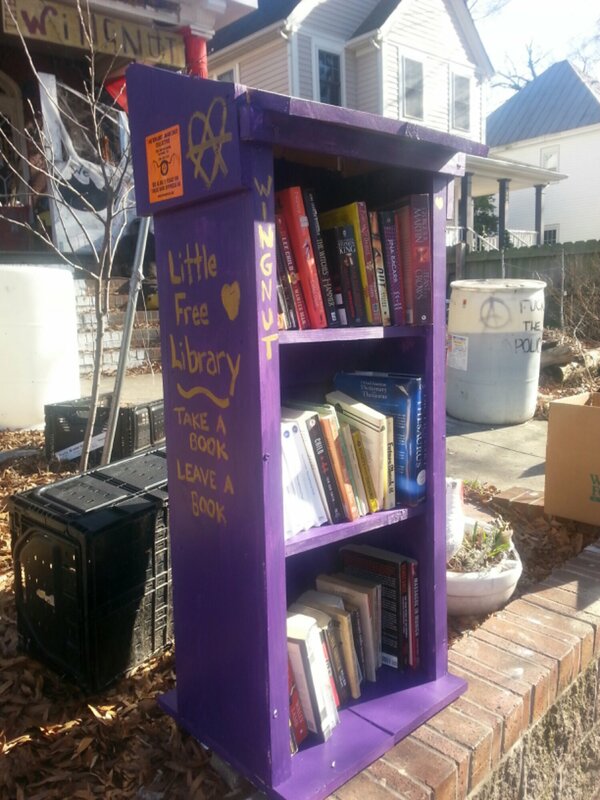 If you have more books to give away than will fit in our little library, we have a spot inside the house to store back up. Come down and check it out and get books! Reading rules and so does sharing! We are building a front door and shingling the little free library’s roof soon too. Just got too eager to get it out there to all you lovely people. 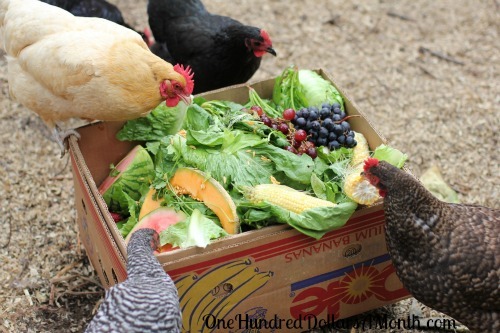 If you need extra scrap produce to add to your compost pile. please come by the Wingnut Anarchist Collective at 2005 Barton Avenue to get some! We do Wingnut Food Not Bombs Produce Distribution every Wednesday and Friday morning, putting the food out by 8am. By the evening the food has been gone through, with the good stuff mostly taken. 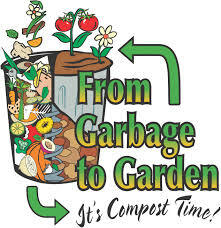 If you want compost scrap or produce for chickens, it will be out front of the house, in cardboard boxes along the retaining wall. You will be getting free scrap to use in your gardening and chicken loving endeavors, and you will be helping us and our neighbors to get rid of the trash. We don’t want to see all the compost and cardboard end up in the trash, but it is way beyond our capacity to re-use or re-cycle. So help yourself, and help a program that gets healthy food into a local food desert to low income and elderly folks. The best times to come by would be Wednesday evenings, Thursdays all day, Friday evenings, and Saturdays all day. Please take as much as you can use, and help us keep the distribution area neat and clean!